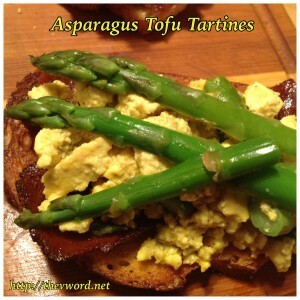 While reading the April issue of Everyday with Rachael Ray, I saw a recipe for Tartine with Asparagus and Eggs. 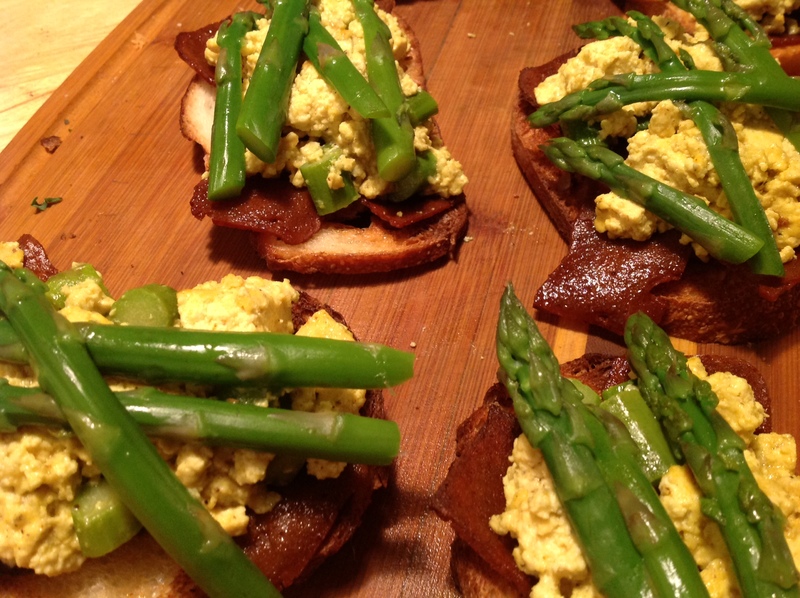 A tartine is a French open-faced sandwich – the French version of bruschetta. Same difference. Anyway, the dish in the magazine looked so pretty, so fresh and so delicious, I had to make a vegan version of it and then go further to make it even more my own since the only thing I really had to veganize was the scrambled eggs. Of course, that meant making a tofu scramble. The funny thing is that after almost 7 years of making tofu scrambles and writing articles about how to make tofu scrambles on One Green Planet, I made my best ever tofu scramble for this dish. 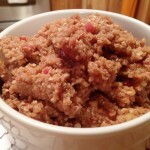 I tasted it and wondered why I haven’t been making them this way all along. When I thought about going veg, I thought I couldn’t live without chicken but to my surprise, eggs were the hardest food for me to give up. Surprising because the only eggs I ever ate were scrambled or omelets. That’s it. I didn’t like boiled eggs, fried eggs or any other preparations. 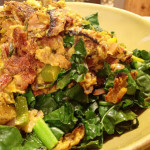 So I made it my mission to make amazing tofu scrambles and I’ve made them with every ethnic flavor profile – Italian, Greek, Mexican, Jamaican and even Chinese. But what I made last night was a whole new kind of amazing. 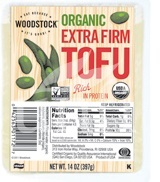 All I did was start with Earth Balance Vegan Buttery Sticks and Woodstock Foods Extra-Firm Tofu, add some So Delicious Unsweetened Cashew Milk and Go Veggie! Foods Grated Parmesan Topping to the tofu. I seasoned it with just black salt, pepper and turmeric and then added some finely diced asparagus. It was the best, eggiest tofu scramble ever. It was rich and creamy and I swear it tasted like French scrambled eggs. I’ve made cheesy tofu scrambles before but nothing tastes like the Dairy-Free Grated Parmesan Topping made by Go Veggie! Foods. I may never make scrambles any other way. 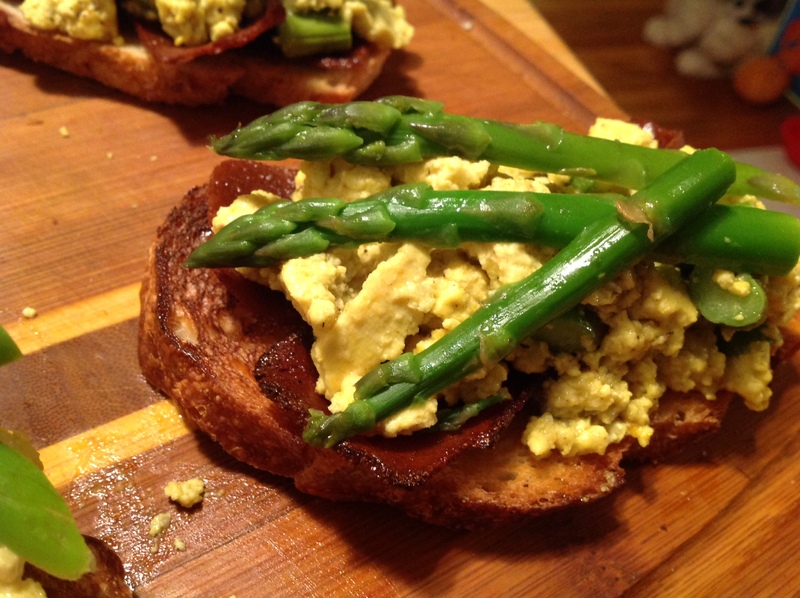 Anyway, I cooked my asparagus until it was bright, verdant and crisp-tender, made the scramble and broiled the bread which is all I needed to do to veganize the recipe but I wanted to do more. I thought about making a sauce for it. I had never eaten Eggs Benedict so I have no idea what it tastes like. 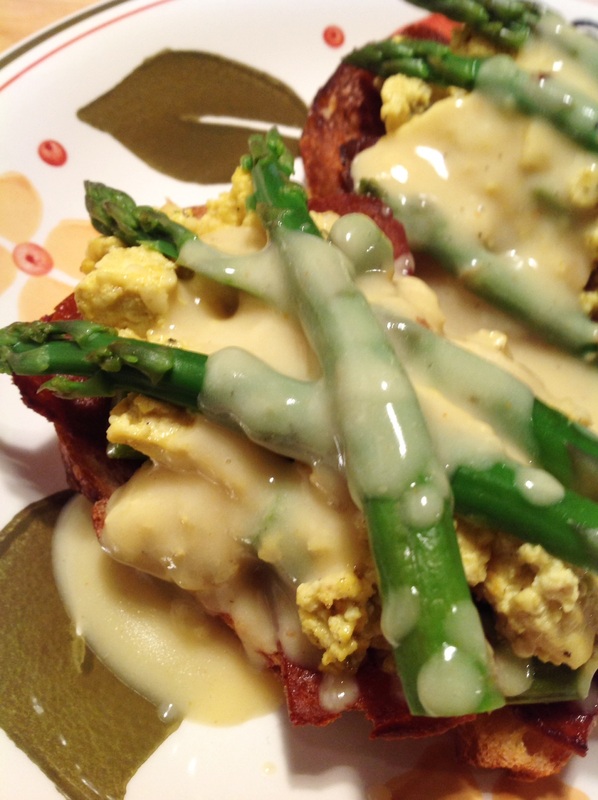 I’ve never had non-vegan Hollandaise Sauce either but that didn’t stop me from making a vegan version in the past. 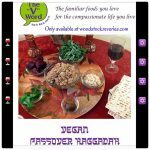 Rather than the egg yolk sauce the original version is, my vegan version is a rich and creamy bechamel sauce made with Earth Balance Vegan Buttery Sticks, lemon juice and Dijon mustard. But I didn’t want a rich, heavy sauce over my beautiful scramble and asparagus so I made it light and thinner by using So Delicious Unsweetened Cashew Milk rather than full-fat coconut milk. As long as I was making a vegan Eggs Benedict of sorts, I thought I should replace the ham that is usually on that dish. In my whole life, I had tasted ham once when I was a child. 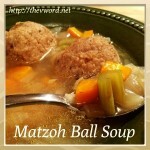 It was part of a mean trick by my older sister and I hated it ever since and have never eaten it again. I won’t even eat vegan versions of ham – that’s how deep the trauma runs. A friend of mine went shopping and brought me back some vegan products we can’t get in town since we don’t live near a Whole Foods. My friend brought me back a taste of several products I’ll get to try at least this one time. It’s so sad; it feels like vegans who live in the middle of nowhere don’t count as much. We do. Not everyone can go to Whole Foods. But I digress…. 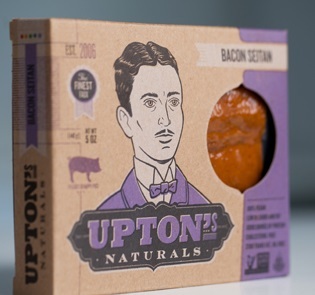 I got a package of Upton’s Naturals Bacon Seitan with the coupons they sent me. I used the bacon in lieu of the ham on my tartines. I barely cooked it so it would be soft and chewy rather than crisp. Eating it on its own, it doesn’t really taste like pork bacon but in the sandwich, it gives you that taste sensation reminiscent of bacon. That’s a good thing and it added a nice texture and flavor to the tartines. A part of their proceeds goes to help pigs, so if you can buy this product near you, go get it and give it a try. 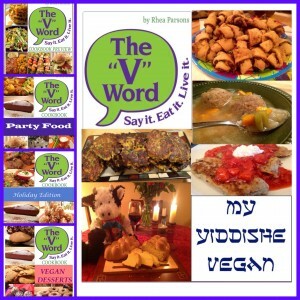 If you want the dish to be gluten-free, use tempeh bacon (recipe in The “V” Word: Cookbook Preview) and gluten-free bread. 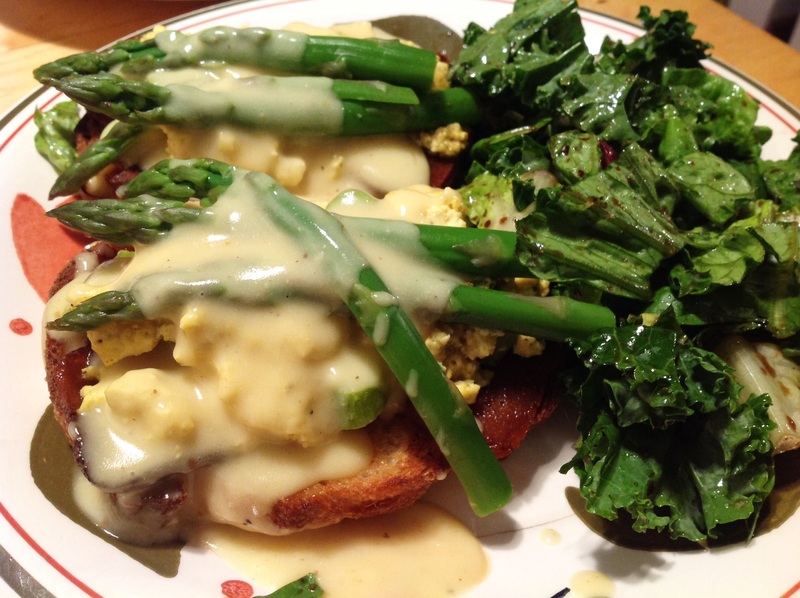 So the resulting dish was broiled garlic bread topped with vegan bacon and the creamy, cheesy tofu scramble. 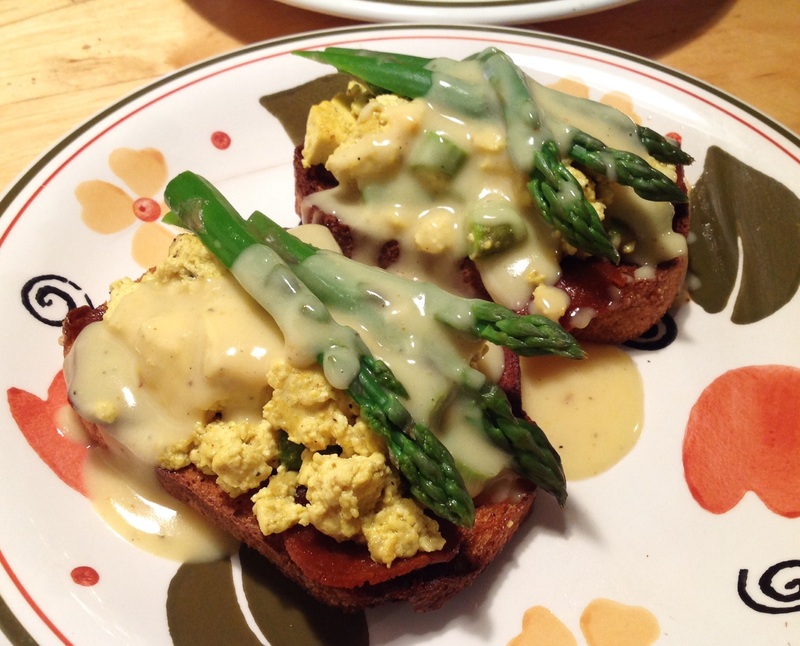 The scramble was then topped with asparagus tips and the light Hollandaise sauce. 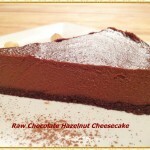 It looked really pretty and fresh – the perfect spring time dish for brunches, bridal showers or Mother’s Day. The taste was out of this world. It was so creamy and decadent. 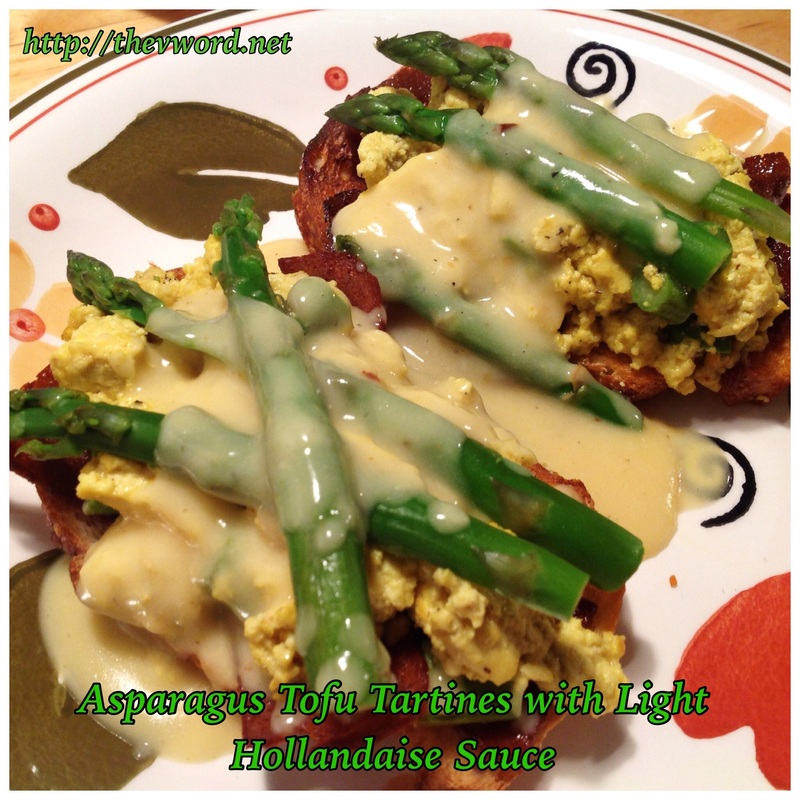 The light sauce was perfect because it enhanced, rather than covered up, the taste of the scramble and the fresh asparagus. 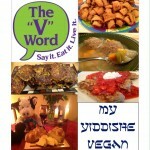 The vegan bacon added a chewy texture and a bit of smoky taste that made the dish more savory. 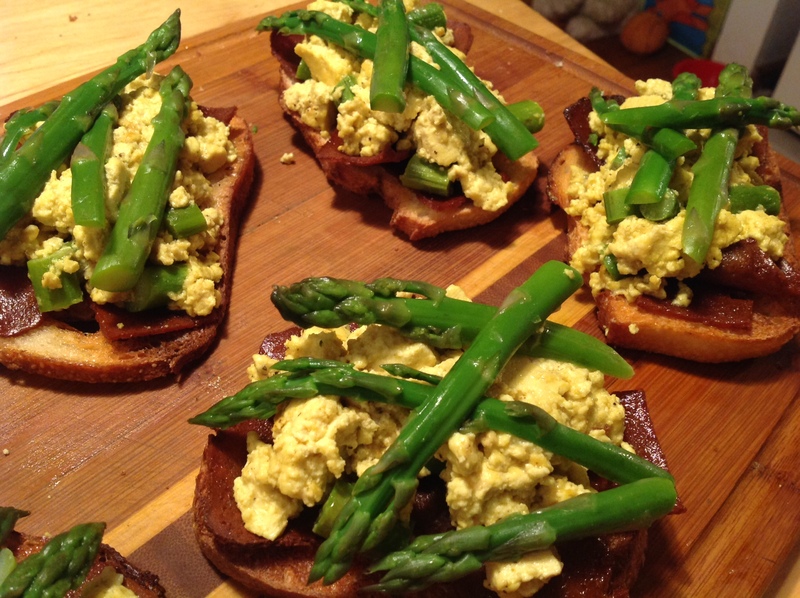 Even without the sauce, the asparagus tartines would be incredible on their own. Even Tom loved it. He was surprised how much he loved it. He thought it was going to be scramble on toast but it was a whole other vegan animal. 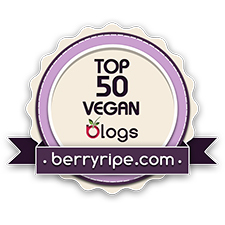 Thanks to the wonderful products I used – Earth Balance Vegan Buttery Sticks, Woodstock Foods Extra-Firm Tofu, Upton’s Naturals Seitan Bacon, Go Veggie! Foods Dairy-Free Grated Parmesan Topping and So Delicious Unsweetened Cashew Milk – this was one of the most delicious dinners I’ve had in a long time. I will definitely be making this often. And of course, my eternal thanks to Rachael Ray who doesn’t know I exist or that she continues to inspire me every day even after all these years. Enjoy! 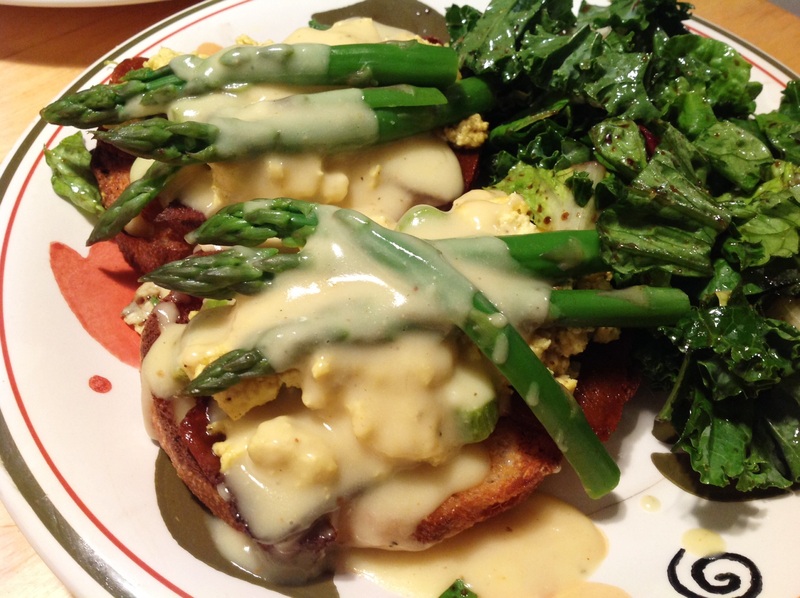 To make the Light Hollandaise Sauce: In a small saucepan, melt the vegan butter over medium heat. Whisk in the flour and let cook for a minute or two. Slowly whisk in the milk until smooth. Add the mustard, lemon juice, cayenne, and turmeric and whisk until combined. Add salt and pepper to taste. Bring the sauce to a boil, then reduce the heat and let simmer until it thickens. Leave covered on low heat until ready to use. 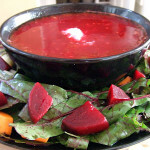 To make the tartines: In a deep saucepan, bring 2 inches of water to a boil. Add salt and the asparagus. Simmer until bright green and crisp-tender, about 3 minutes. Transfer the asparagus to an ice bath or run under cold water. Let drain and cool. Cut the top 3 inches from the asparagus and set aside. If they are very wide, slice the spears in half length-wise. Finely dice the bottom part of the asparagus. In the same pan, melt the butter. Crumble up the tofu and add it to the pan. Toss it around a bit to start cooking. Add the black salt, turmeric and pepper and toss to coat the tofu. Cook for about 4 minutes until the tofu is firm but not browned at all. Mix in the milk and parmesan. Fold in the diced asparagus and cook until warmed through. Leave the pan covered and set aside. In a skillet, heat 1 Tbs. 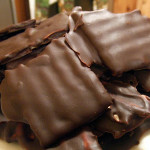 vegetable oil and cook the vegan bacon slices in batches. Cook them until slightly browned but still soft. Don’t let them get crisp. Transfer to a plate and set aside. Preheat the broiler. Arrange the bread on a baking sheet and drizzle olive oil on each piece. Broil the bread until it is browned, toasted and charred a bit. Remove from the broiler and rub the bread with the halved garlic clove. Great – thank you ! I would love to try this but i live in the French Alps where we don’t have Earth Balance or vegan parmesan or these fake meats foods … (well, we do have a few things – they did just start supplying vegan chorizo in my local organic market but nothing bacon related !) 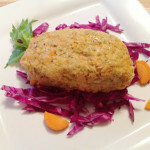 We have smoked tofu – could that work ? 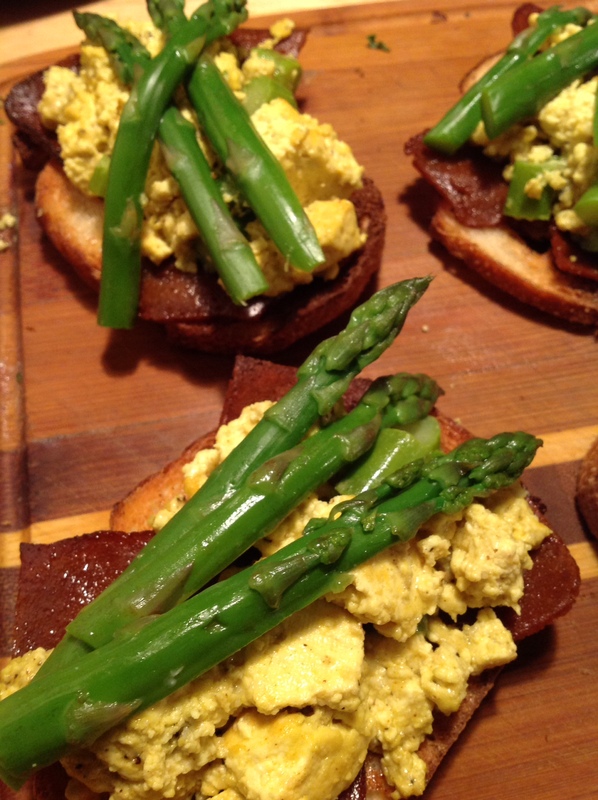 I love the idea of your recipes and this one seemed so appealing because it’s spring and asparagus are out now. 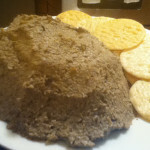 Is there any way you can make this really from scratch without all the purchased processed products and just raw ingredients ? I am finally able to get nutritional yeast here. And I can either buy or make things like cashew milk pretty easily. I also have a stock of liquid smoke that I brought back from the USA for smokey flavour. But for things like “Earth Balance” – we just don’t have it. Could you tell me what makes that different to any other non-dairy butter type product do you know – is it listed on the package so I could add it to the vegan butter I have here (mainly coconut & olive oil) ? What ingredients are in the vegan parmesan ? 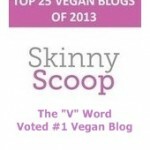 Would nutritional yeast be similar or what’s in it – are there nuts in it too ? Thanks – your site is so awesome and if I could get some of these products you are lucky enough to have I’d be so happy to try even more of your recipes. I’ve bookmarked the site because I am sure I can find ways around it once I know what kinds of things make up these products so I can make or find a good substitute. Hi Gen, you can certainly make this without any convenience products. 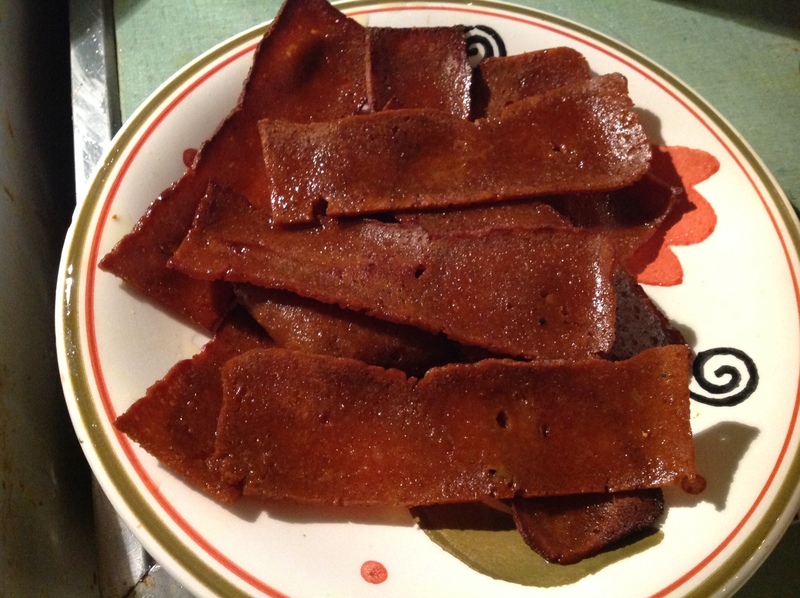 Smoked tofu sliced very thin is perfect for the vegan bacon part. I often use that to make sandwiches like BLTs. I just slice it thin and crisp it up in a pan.